Event & Conference Co. Perth Event Management and Professional Conference Organisation: Australia » Can you afford not to? Comments Off on Can you afford not to? Great design is something we have always been passionate about. 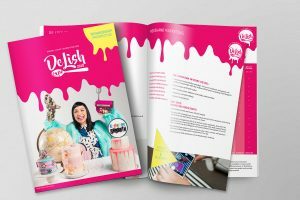 In our opinion, well designed collateral sells events! Of course there are many other factors that work along side this, but design is an important (and often forgotten) factor! Yes, graphic design comes at a cost, but should it really be considered an investment? First impressions count! When delegates are considering attending an event, they search for signs of professionalism to help them gain trust. Creating marketing collateral in Word will not build trust. If your event flyer is unprofessional, why would they expect your event to be any different? Smartly designed collateral will always have a strong call to action. It will compel readers to turn the pages or encourage users to click. A designer will know which fonts to use where, will keep font sizes and colours consistent and ensure the overall look and feel of all your materials will consistently capture your brand. Designers spend years mastering the art because they know consistency helps develop brand awareness and improving usability. So what do you think? Can you afford not to?